It is not known exactly where or when the formal magnetic compass originated. 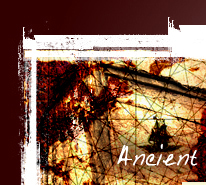 However, what little, unclear evidence has been found indicates the compass was refined in Italy circa 1200AD. Italy is known for its grand maritime achievements that made them a navigational superpower. It is believed Flavio Gioia first invented the refined compass, and a monument has been erected in Almafi Italy to honor his invention. 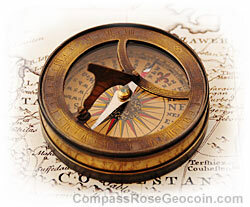 The magnetic compass was probably developed by combining the wind rose and the lodestone. 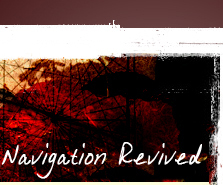 From this device it is supposed the compass rose evolved. A wind rose was glued to the top of a lodestone and placed in a covered container of water. Later, oils were used instead of water to stabilize the compass disk from erratic movement. Then it was found you could magnetize needles and glue them to the bottom of the disk. These needles had to be re-magnetized periodically to maintain a sufficient level of magnetism. Like the wind rose, the compass rose was coincidentally designed in a fashion that resembled the rose flower. It helped to orient a map in the proper reading direction and gave the relative directions for certain points on the chart. Before compass roses were used on maps, lines were drawn from central points. These lines were hard to follow since there were usually many of these lines intersecting each other on one map. The rose design was typically drawn in a way that made it easier to follow the directional lines. Having good maps that were easier to read and which were developed using the magnetic compass made it much more efficient to trade for goods in far away lands and over the open seas. Direct routes could be established, and navigation in bad weather enabled transportation to take place year round instead of only on fair weather days during the warmer seasons. 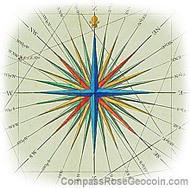 The four main points (cardinal directions) of the compass were derived from the wind rose: North, East, South, and West. This is also where the four half points originated (ordinal directions). Later, more points were developed to gain more precise bearings, until finally 32 points in total were used. Reciting all 32 points of the compass is called "boxing the compass". Some believe the numbers of the points start at North; however, it actually starts at East. This is because in relation to Western Europe, Jerusalem was in the east and therefore East was considered the primary direction. The Flour de Lys is primarily used to indicate north. It was typically made in a very elaborate style and prominently placed so it could easily be distinguished from the other directions during low lighting environments, and ensured maps were oriented correctly when being used. 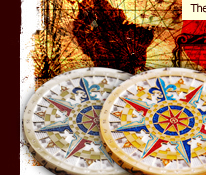 Red, blue, black, and green were the most common colors used in the compass rose. For the times, these colors were the easiest to distinguish in low light situations when using oil lamps and candles. 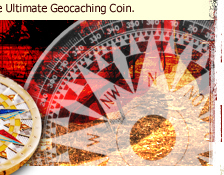 Click here to see all of the Compass Rose Geocoins® and read about their designs.